Susan McGilvrey creates large-scale vessels of brightly colored earthenware with carved layers of text, flowers and attitude. 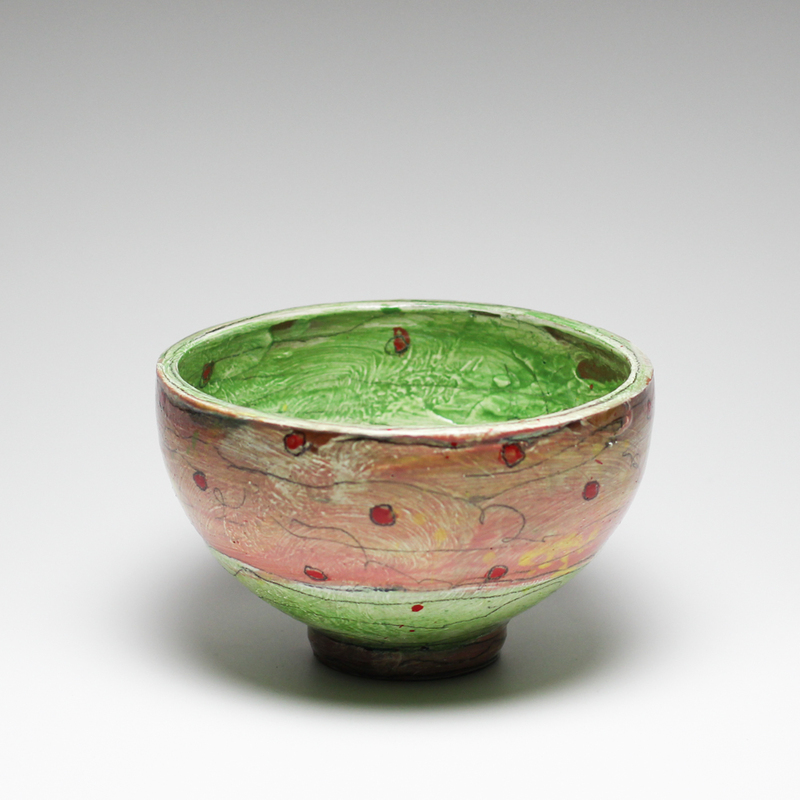 Susan McGilvrey creates small, domestic-scale vessels in Shino-glazed stoneware and polka-dotted redware. She sometimes just decorates paper by any means necessary. 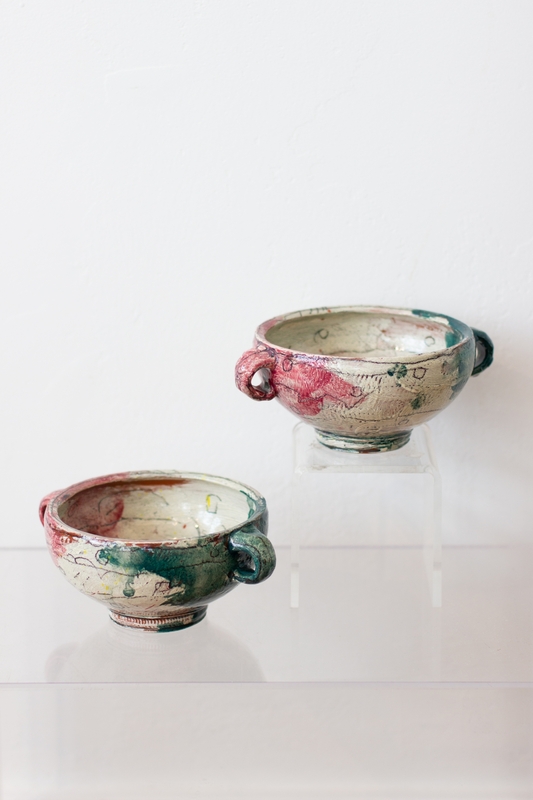 Since accumulating an M.F.A from The Pennsylvania State University, she has maintained a studio in Benson, producing works on clay and paper that have been exhibited throughout the region. Susan has presented larger groups of her artwork in solo shows at the Fred Simon Gallery (Nebraska Arts Council) and the Kimmel-Harding-Nelson Center as well as the Bemis “State of the Arts” and Sheldon Art Gallery exhibitions as a recipient of the NAC Individual Artist Fellowship award. She shared the exhibition space at RNG Gallery/Dixie Quicks with James Freeman in a show titled “Elements & Principles” in September 2012 and is presently the subject of a career-retrospective at the LUX center (to be curated by Gail Kendall). As well as being a usual suspect in the Bemis Art Auctions, Susan has been and will be part of the group of clayworkers showing at the Florence Mill location of the Omaha North Hills Pottery Tour the first weekend in October. In addition to making and exhibiting her own work, Susan has been an active participant in the arts community as a board member (and Queen in 1999) of the Nebraska Women’s Caucus for Art and Thirteenth Street Gallery (an artists’ collective space). As an instructor of drawing/design, ceramics, watercolor and printmaking at a variety of our fine, local post-secondary institutions, she has attempted to teach/mentor/impose-her-reality on a wide range of students for a very, very long time.